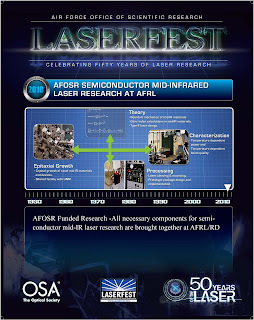 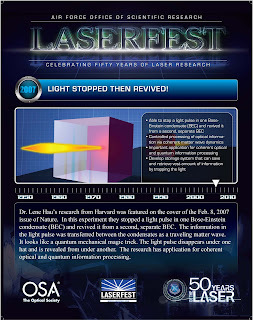 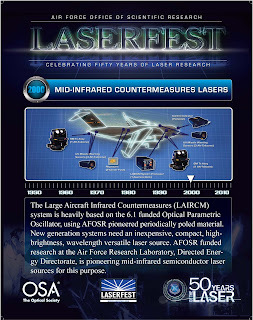 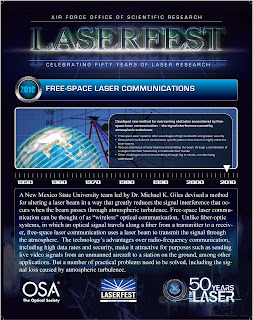 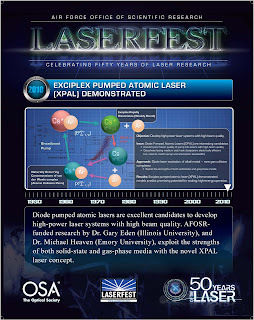 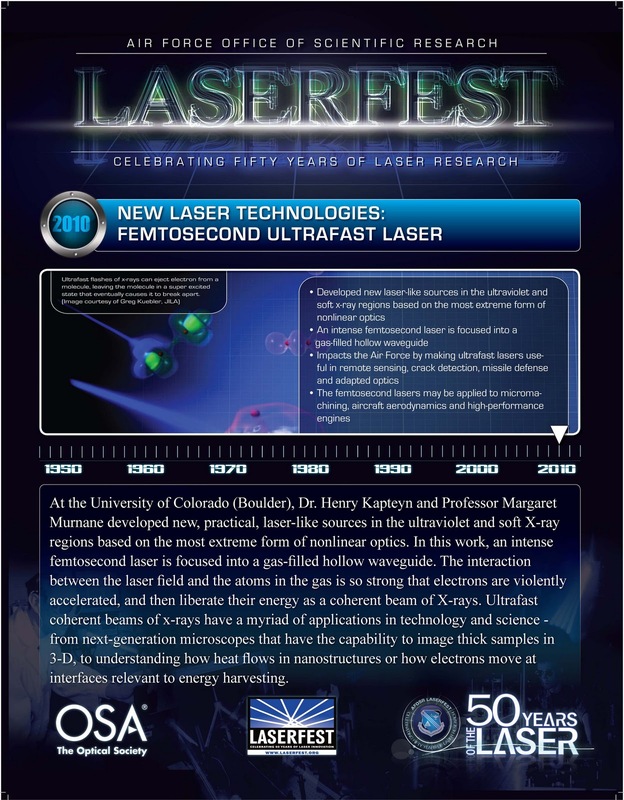 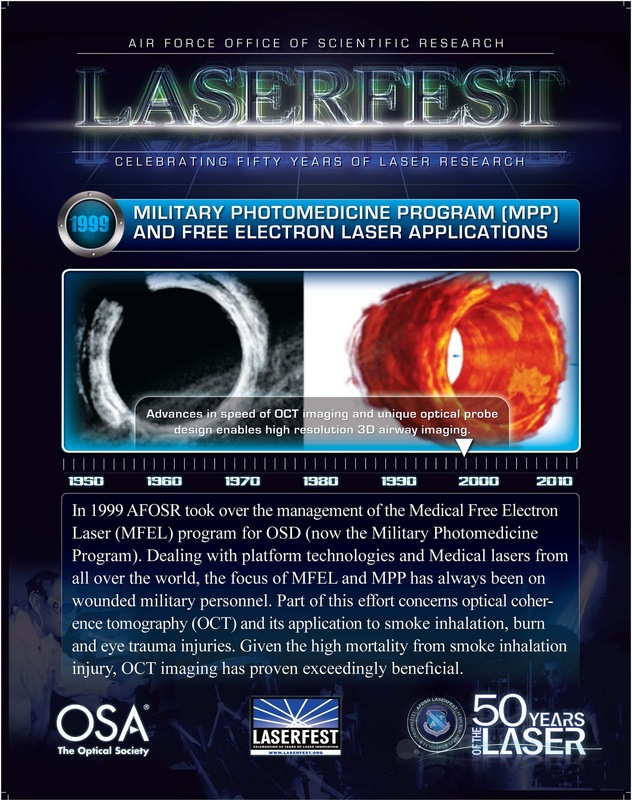 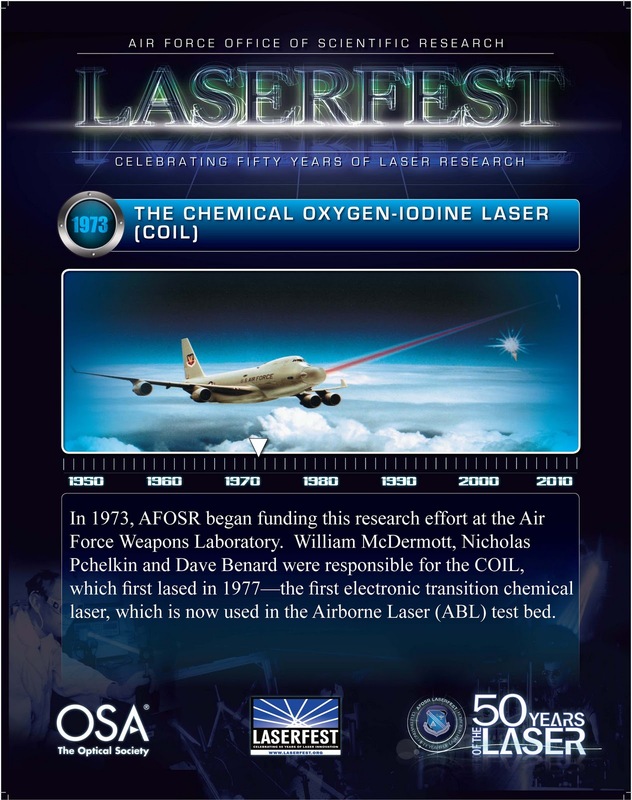 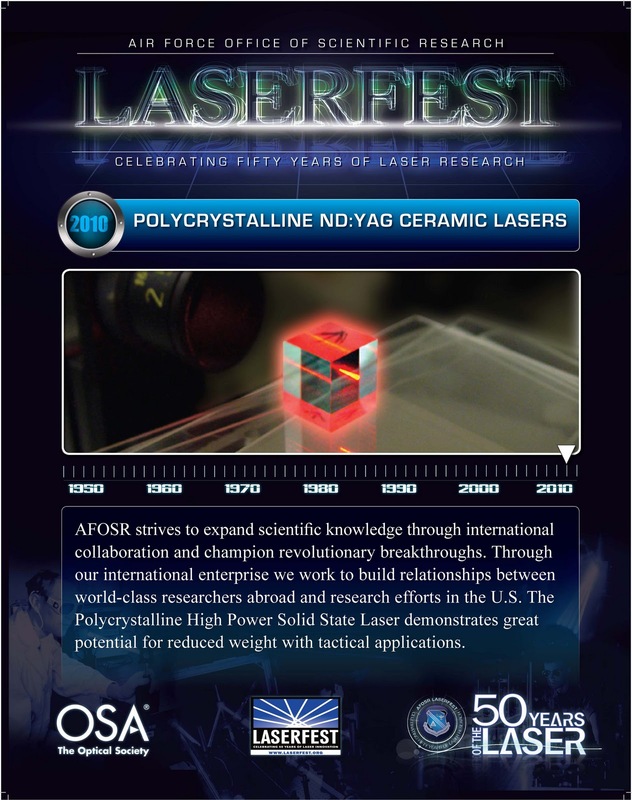 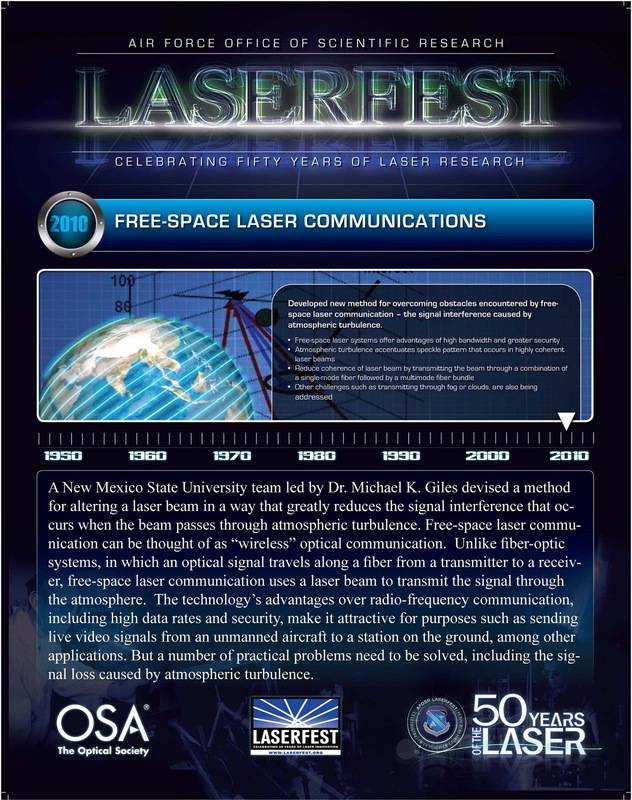 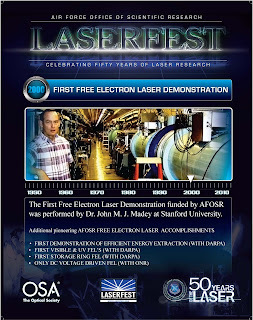 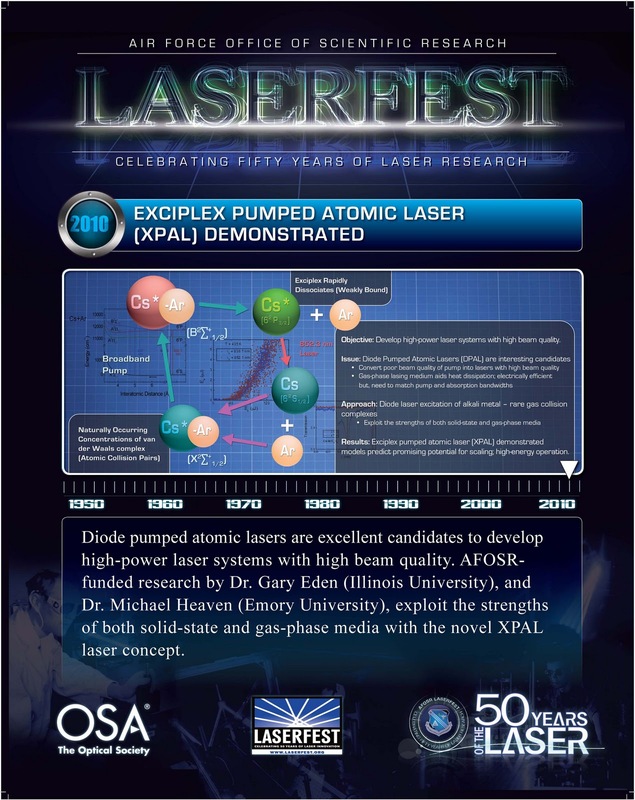 On August 6, the Air Force Office of Scientific Research (AFOSR) continued the 2010 LaserFest celebration with its own event highlighting everyone's favorite technology this year. The event showcased the work of three OSA Fellows--Alan Willner, who works on optical communications at the University of Southern California; Margaret Murnane, who is studying high-peak-power physics with lasers at the University of Colorado, and Richard Miles, a Princeton professor who spoke about the role of lasers in aerospace. 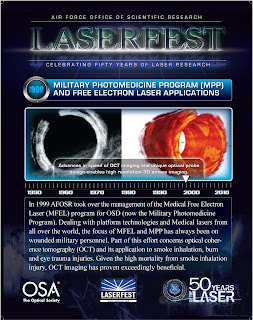 Two other laser experts--Robert Jones and Gary Teraney--described the important role that lasers are playing in the defense industry and in medicine. Each of the participants had been funded by AFOSR as grad students and went on to become distinguished leaders in the laser field. 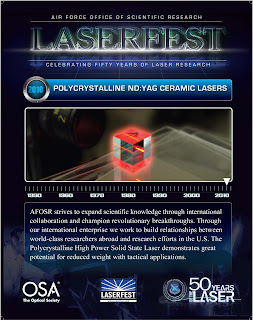 For those who missed the event, or who simply sought more info, the AFOSR held a "bloggers roundtable" moderated by Howard Schlossberg, the program manager at AFOSR, to discuss the event and answer additional questions about the state-of-the art in laser technology. Schlossberg was joined by several of the event participants, including Willner and Miles. 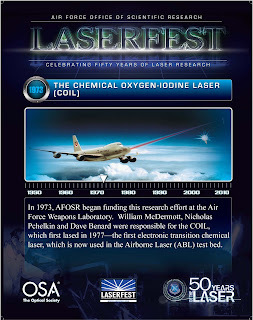 And for those who missed THAT (including this humble blogger), you're in luck: A podcast and transcript of the roundtable are posted on the Department of Defense's blog. 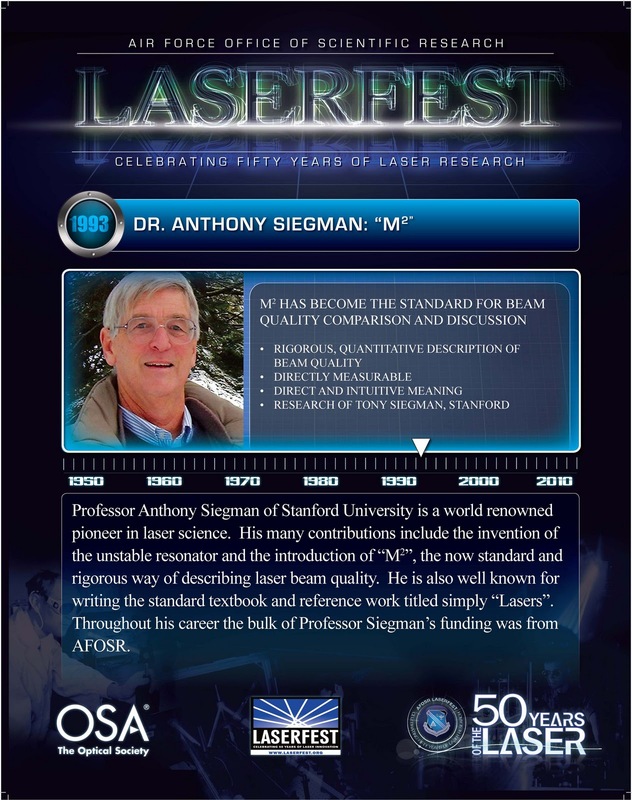 Schlossberg emphasized the importance of solid-state lasers in particular as pivotal to modern laser research and technology. 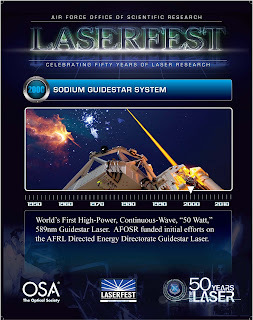 "The primary emphasis by us and by others as well is in solid-state lasers, either on bulk solids, slabs pumped with semi-conducted lasers, or in optical fiber lasers," he said. 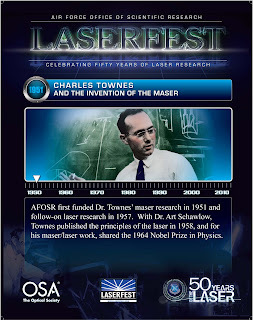 He also called medical and materials processing two of the biggest application areas of lasers these days. And don't worry--LaserFest is far from over. 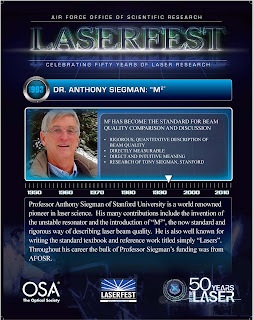 "At meetings, they'll have demonstrations and displays," Schlossberg said. 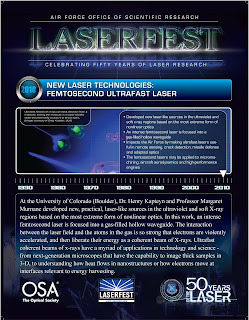 "If you get on the LaserFest website, you'll see some of the terrific movies of early times."